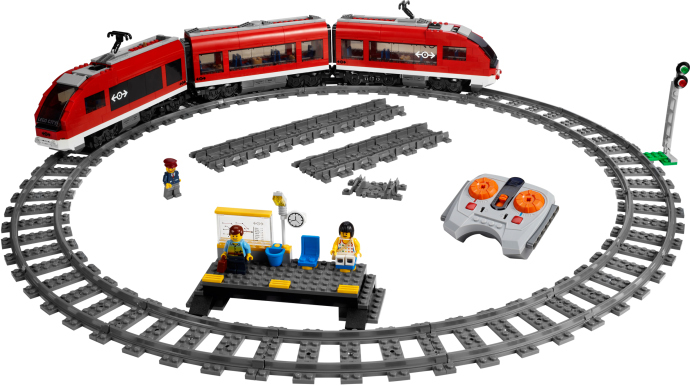 OK, so I recently bought my first LEGO train during that crazy deal from Amazon.fr that I wrote about a couple of weeks ago... Ever since I've been checking the Amazon France and Italy deals page, almost to the point of obsession. Its like an addict looking for that next perfect hit! Anyway, I've seen this one on both sites for the past few days. Its actually €10 cheaper on the Italian site, but they have some expensive shipping charges to Canada, so I balked. Took another look tonight and went for it at the French site! I want to get two sets so that my son and I can have a better experience, plus he loves Red! The shipping was perfect, and I got it in like 4-5 days. Jury is still out on customs/duties or whatever - not sure about the final damage, but it was a killer deal. Long story short, not as great a deal as last time, but still much better than you find in stores which usually dont break the 25% off mark! I just cross my fingers that the box comes in decent shape like last time, and that I don't get torn a new one with duties!